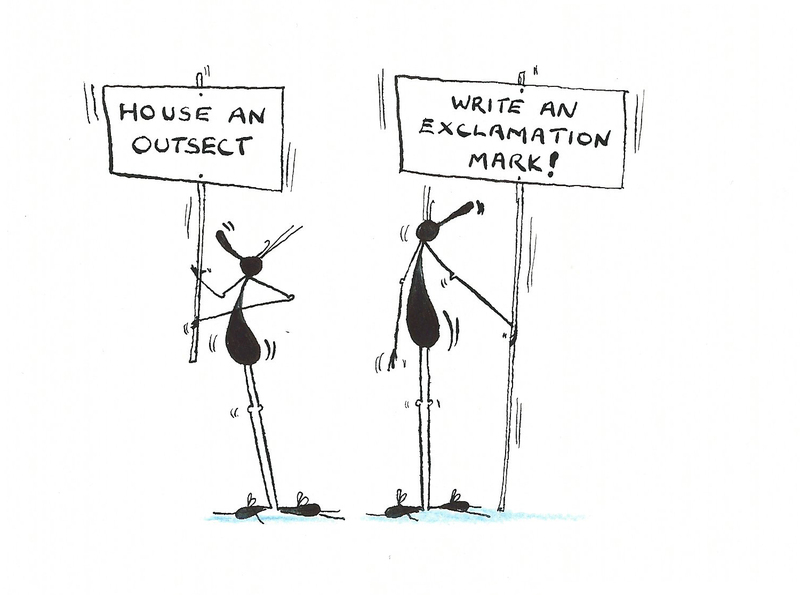 Outsects live on exclamation marks. Help homeless Outsects by writing lots of exclamation marks!! !